Aggressiveness of the ambassador of the brazilian waters, one of the freshwater fish most sought after by sports fishermen in the country, requires no comments. Thinking about it, we have chosen ten models of bait with differentiated performance for peacock bass, highlighting some of its features that may irritate even more this coveted predator and help him especially when he is not very willing to attack. It is a fact that the various species of peacock bass in our waters are among the most aggressive when we speak of artificial lures, either by the true overflows that cause to invest against a plug, by his temperament to defend its territory or for the strength of its plucked. Even with all of this in favour of the fishermen who practice baitcasting fishing pitch with artificial lures, some models can be considered unbeatable mainly in the hunt for peacock bass-yellow and blue, which inhabit a series of lakes, reservoirs and rivers of our country. 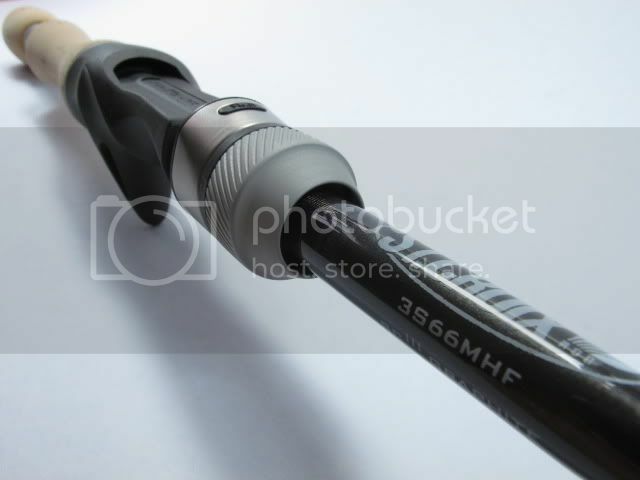 Key features – Plugs of surface that develop the trajectory of “Z” in the water to be collected and worked on. In their majority, are inclined or almost vertical position when the aggregates on the surface. Because they are hollow, have a ball in its interior that, coupled with their work, are responsible for inducing the peacock bass to attack. Some models have noise-differentiated due to the material of the body and of the spheres in its interior. Are baits that cover a good area to each pitch, the first out on the water when fish peacock bass. Work – With the tip of the stick facing down, look for run tap run tap short end of the stick merged with the gathering. This work can be more quickly, accelerating the movement of the bait, causing the “Z” by it described on the surface is shorter, the more times it is deadly for peacock bass. Another alternative is to make the bait yawed to the sides more cautious, slowly. Ideal for moments in which the fish is sly, rebojando a few times before you grab for real. 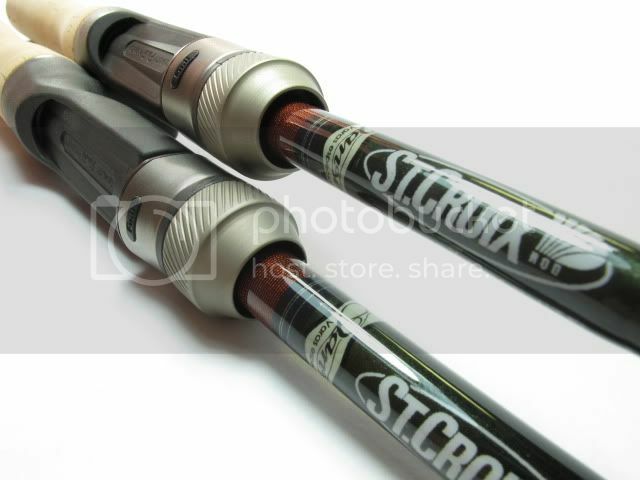 Extra: With the use of, or the amount of attacks suffered, surface baits, surface baits metal can flake off. This will not be a problem, since it will continue attracting peacock bass. Many times, even when its material base appears, the more they are attractive. Hence the fame of the color bone the bone, which is now being produced by many manufacturers in more than one model. 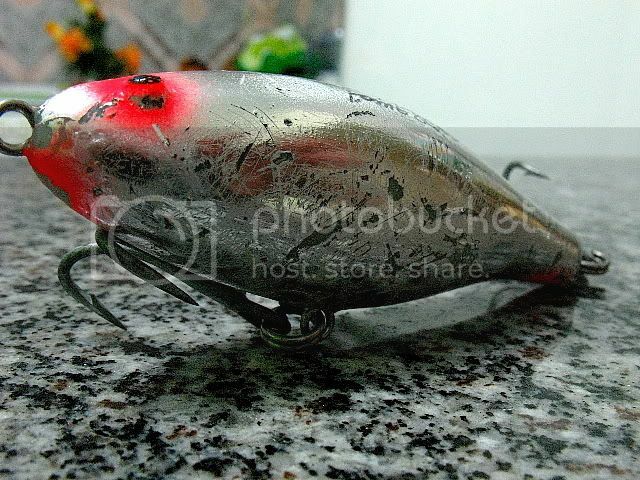 Key features – Lures equipped with one or two propellers rear, or one front and one rear. Working in trajectory uniform (straight) on the surface, causing more attacks total. Can be made of wood, with the greater power of buoyancy, or of plastic, the more rich in detail. The plastic, being hollow, receive more noise when pulled. Are also good options to find the fish and to identify their behavior. I like to use them under the absence of wind or when he is very weak. Labour – Run touches the tip of the stick paused, causing the bait to move in the surface and the propeller to rotate making noise. The intensity of the rings will move more or less water, causing more or less noise. Collect more quickly, almost seamlessly and interwoven with rings, can also lead to good attacks. Extra: to Change and work with (bend slightly) the propellers of some plugs can intensify their action, causing it to raise the most amount of water and the surface and causing more noise. Key features – With large fluctuation, the poppers have next to your head a bump or sort of “mouth” (concave) that can be moulded in the body of the bait, or work as bardela. 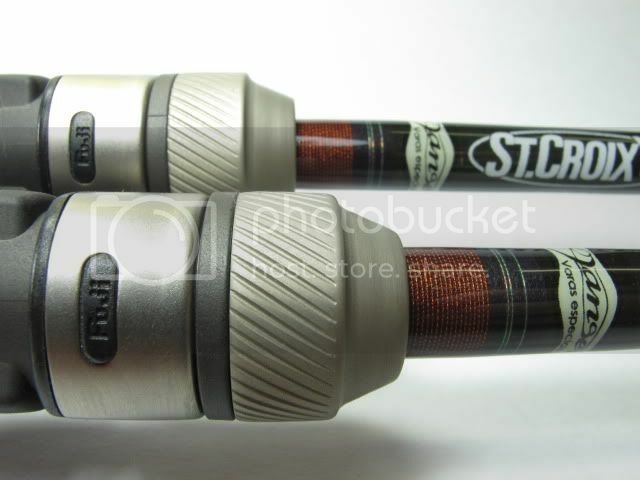 Generally, there are plugs hollow which have excellent paint finish. Ideas for conditions of little or no wind, when you manage to move the water more sharply. Powerful weapons in the peacock bass are dodgy. 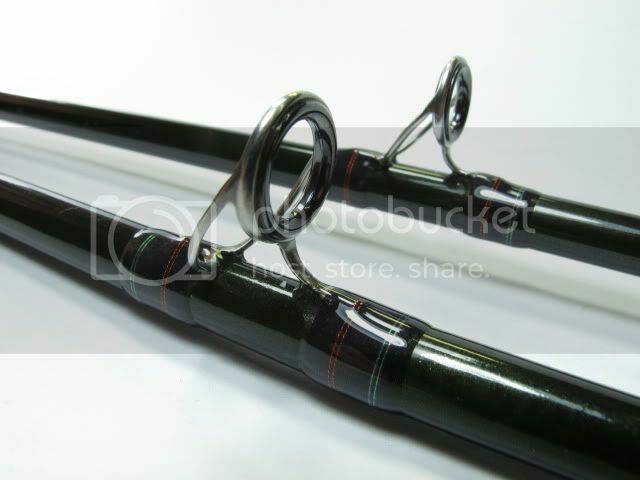 Work – With the end of the rod down near the water line, perform a touch short, and paused, leaving the bait to float between the one and the other. The strength of the rings defines the lure will make a greater or lesser amount of bubbles to the surface, causing more or less noise. Extra: Like most of the models of poppers are manufactured originally for the black bass, the need for replacement of the garateias original for other, more reinforced, is almost certain. Watch out for the size, which should be similar to that of the original or a little larger so that it does not interfere much in the work of the bait, poppers have a lot of air in their interior. The main features Are the plugs half-water with dewlap short, working between 40 and 60 cm depth. Usually floating when inert, are manufactured in wide variety of sizes and colors. Ideal for when the peacock bass are sunken, generally when selling a bit more, and the work of the surface baits gets compromised. Work – short Ringtones merged with the gathering are the most traditional. Another way is to collect continuously, alternating the speeds throughout the day until you detect the preferred by the fish. Extra: Versions with action suspended inert (suspending) are good options for locations with high fishing pressure and days in which the tucunas are sly. Case replace the garateis, be careful to undo your action. In models three garateias, the middle can be removed, replacing the other two for the other a little larger. This avoids enroscos between itself and the interference on the action of the bait. 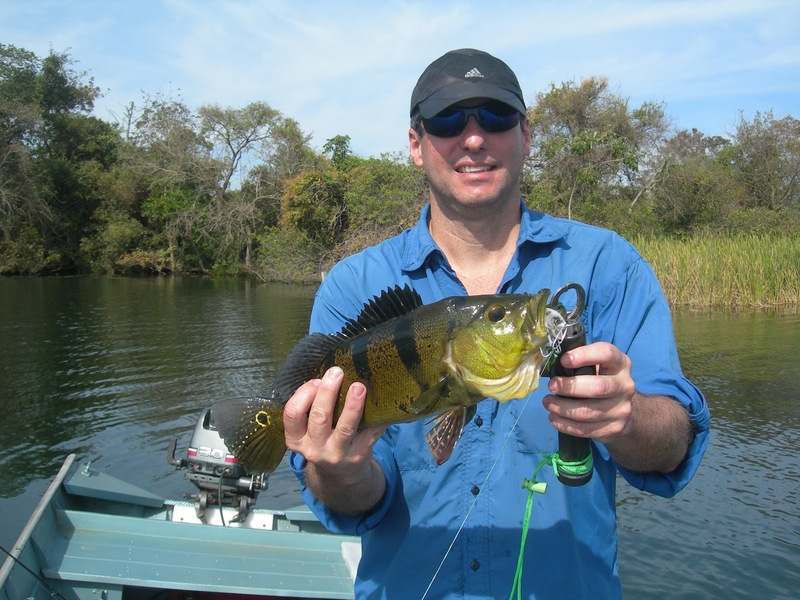 Key features – Lures that work below the surface, but without having dewlap. Its design promotes the work in an erratic and faster in the water column, deadly for peacock bass. When inerdes, they tend to sink slowly (have a body thinner) or go back to the surface (old body bulky). Can be made of wood or plastic, in both cases receiving excellent finish. Are baits of coverage, ideal to be pitched soon after the rebojo of a fish that does not hit a surface lure. Job – Ringtones short end of the stick merged with the gathering. To make the bait “zarar” in the half-water, working it in an erratic way, it is a feature of the work of the twitch baits of the body more thin. This kind of work, and infallible. Search for switch the speed of the rings and recoil until you find a pattern attractive to fish. This can vary according to the day. Extra: Again, watch out for the exchange of garateias when necessary. 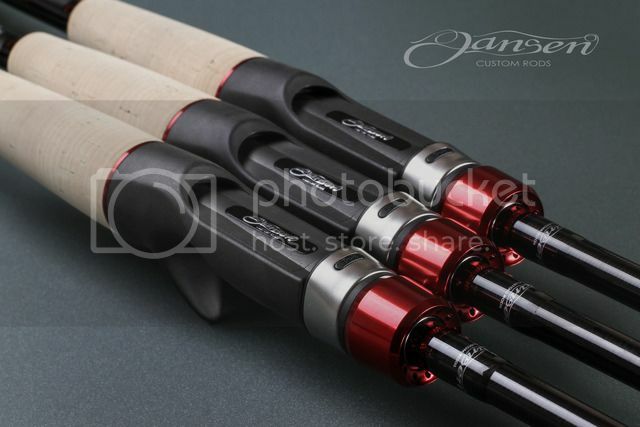 Replace them with models that are more rugged, but without compromising the action of the bait. It may be necessary to test different sizes until you get a perfect balance of the plug in the water column. Main features: – also Known as lures of dewlap long, you can float action (floating) or sink slowly (action sinking) when inert. The length of the curb defines the maximum depth that will achieve. Most are plastic, with finish very realistic and balls in its interior. Work – You can collect the bait continuously, making it reaches its depth limit, or to merge the collection with touches short end of the stick, leaving it to rise a little towards the surface if the model is floating. Switch the speed to find the ideal way to capture. Extra: When fishing in locations with many structures, keep the garateia transeira original. She is generally weaker, and the case thread, it is easier for them to open, freeing the bait from the structure. The hook of the front is, somehow, protecting the body of the plug, and it will lean less. It is necessary to have in mind that you will need to work with the friction of the reel more open if a peacock bass largest is hooked, so as not to lose the specimen. Key features: Plugs that work in the background with the design characteristic, which resembles the shape of a diamond. One of its greatest differential is a noise that they produce thanks to the various spheres in its interior. This sound comes to be intense it can be heard by the fisherman when the bait is approaching the boat and is crafted from the strongest form. Good option to cover rebojos, to reduce the individuals who accompany a fish is caught, or for situations in which the fish are sunken (for example, when windy). The work – rattlings can be collected continuously or the fisherman you can merge your collection with touches of the tip of the stick. By normally possess action sinking, when more leaving to sink, downstairs to play. There are also models of rattling with the action drop-down (suspending). 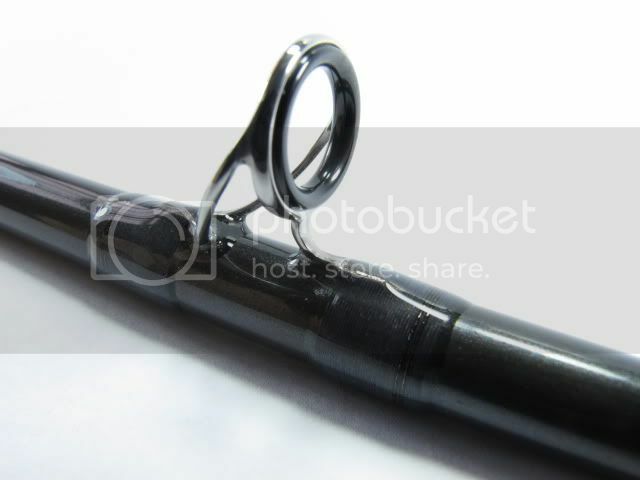 Extra: You can remove the splitring (d-ring) originally attached to the bait. 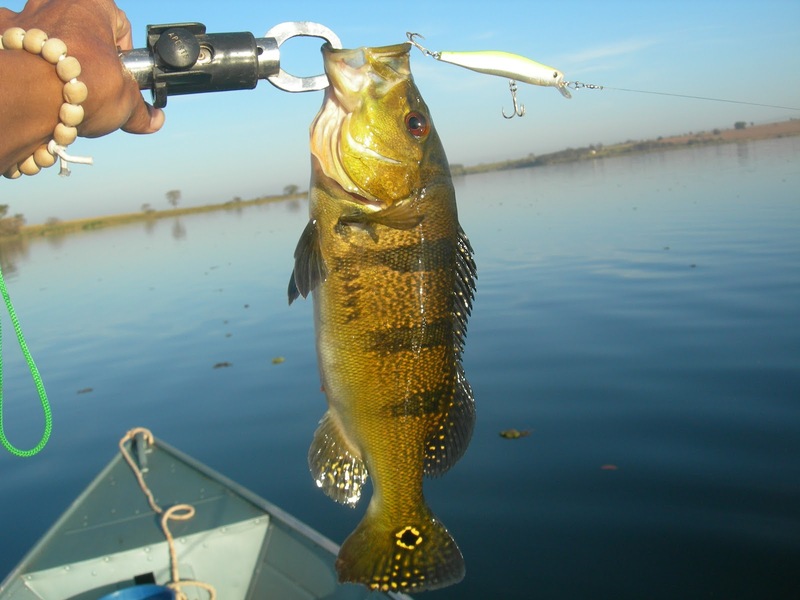 The snap will fulfill the function of giving mobility to the bait and, if he is resistant, to hold no problem for a peacock bass of larger size. 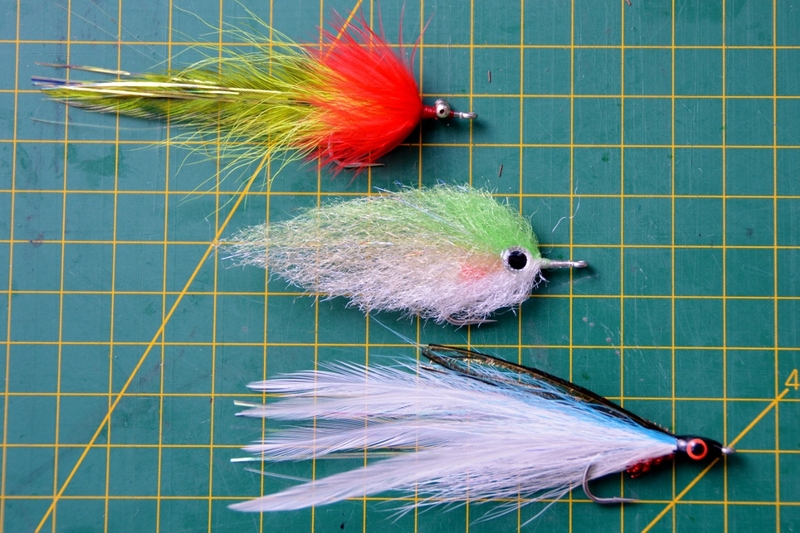 Key features – Also known for swimming, “xuxinhas” or “butucas”, are made up of the heads (jig heads) often lead in which are tied bristles, which may be natural (bucktail, or by the tail of a deer) or synthetic. The bucktail have more natural movement in the column of water, synthetics not so much. Both catch well and are excellent to be tossed about rebojos not translated into attacks or when the fish are sunk. Work – The swimming can be worked on to the half-water, interspersing the collection with splashes short or leaving them to sink to the bed to only then carry out the tap, making the bait bounce on the bottom. Remember, in the second form, a structure can be found by the path, resulting in the turn. And to fling the plume soon after the rebojo of a peacock, stay tuned to the descent of the bait, a time when many attacks occur. Extra: You can use a snap (clip) near the plume in order to give greater mobility to the jig. Just watch out for the quality of the snap, which should be reinforced. Main features: The traditional ones are made of metal, usually in the shade of silver (silver) or gold (gold). Recently, it has been released in the market as spoons that have a cavity of the hollow next to his body, in which is placed a ball that generate noise when working. Such models receive the paintings of the most varied in its surface. Another important detail of the spoons is that the majority has device antienrosco. This can be single or double, metal or plastic.Both prevent the bait come and engage in too much when it passes by the structures, and if you disarm or lowers automatically when the fish strikes the bait. Job – Collection continuously, changing the speed of each throw or, collect, merge with short pushes, making the bait work erratically in the water column. Excellent coverage option, to be pitched in rebojo of a surface lure. Extra: To give bilho and new life to the spoons, metal, wash them with toothpaste and brush. One way to boost the bait is paste stickers holographic and colored on its surface. Key features – Reproduce almost perfectly the swimming of the goldfish. Some models have a large wealth of details and are developed in material in soft. Obviously, they are less resistant than plugs of wood or plastic, but earn with realism, being excellent options for when the peacock bass are dodgy. Just avoid to use them at points of high occurrence of piranhas, which does not give chances for the peacock bass. Job – Collection continuously in the middle of the water column, or let it sink a little more, and merge the collection with short ringtones. 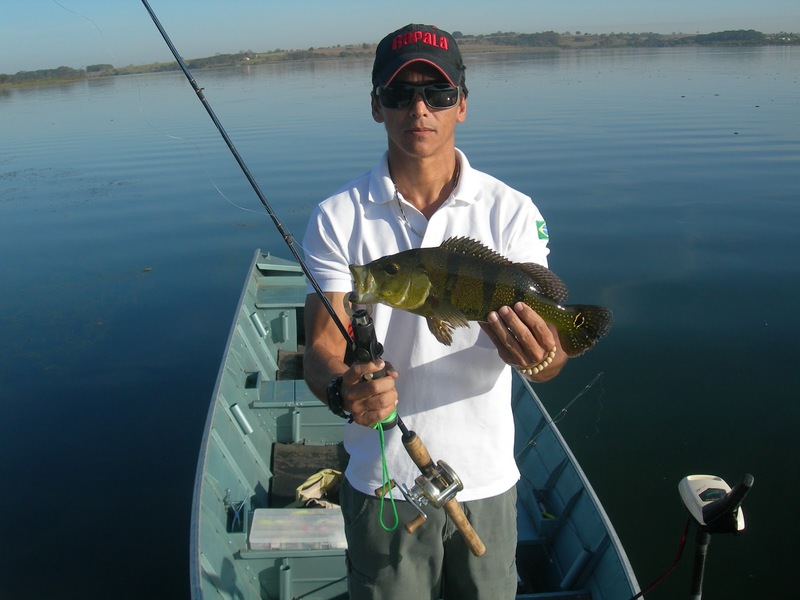 Are also good baits of coverage and the ideal is that they should be thrown soon after the rebojo of a peacock bass that have not finished the attack on the surface. Extra: Use the shad on jigs heads or hooks of the type wide gap, with or without weight with your rod. If you choose fishing hooks wide gap, prefer shads thinner and longilíneos, which will facilitate the baited. It is certain that many other lures will work to provoke the wrath of the peacock. Among these are the jumpings jigs, imitation frogs and shads of silicone, rubber jigs, sticks and spinnerbaits, among others. Another detail that deserves to be remembered is the exchange of garateias and hooks originals by other more resistant, replacing that which should be done when necessary, however, without nullifying the action of the bait. With this selection, the board of the fishing box, you will be prepared for the various situations that you will find ahead. Good peacock bass.